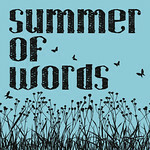 Summer of Words: By the Butterfly Tree – Part One | Phil – Refuelled! Oh Phil – better late than never! – this has ‘my cup of tea’ written all over it. I love the comfortable feel it has already. And I have an Archie… can’t wait to read more! Beautifully written I shall go on to read more another evening – as it is getting rather late – but am really looking forward to seeing how Archie gets on. Thank you for linking to Prose for Thought.